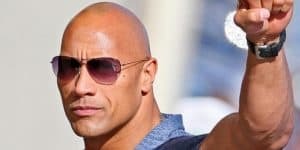 The Rock Announces Skyscraper Film As Homage To Veterans | Nerd Much? Dwayne The Rock Johnson himself has announced via Instagram that he will be starring in a new film called Skyscraper, from Universal studios and Legendary Pictures. Apparently, it has been in development for almost two years and will begin shooting during August in China, as the plot of the film is based there. The script will be written and directed by Rawson Thurber, known for his work on We’re The Millers and Central Intelligence, the latter having starred Johnson as well. Skyscraper will be about just that, one of the world’s largest skyscrapers. If it is being filmed in China, I think it is safe to assume that Johnson is referring to the Shanghai tower and not the actual world’s largest skyscraper, which is in Dubai. Skyscraper certainly sounds like an intense time spent in closed spaces and as Johnson states, it’s a good thing he’s not afraid of heights. Will you being seeing this movie in theatres? Let us know in the comments below!